Search online for the best available seats for any home game. Click below for individual games, or choose from one of our ticket plans. Individual game tickets can also be purchased by clicking the on the schedule for the game you wish to attend. Don't miss a single pitch during the 2018 Season. Get your Quakes Season Tickets today! We have the perfect ticket plan for any budget. Check out our 2018 ticket plans and find the one that best fits your budget and schedule. Build staff pride and fun by bringing your company to LoanMart Field for a Group Outing! Let a Quakes Representative plan a Group Event for your organization today. This is the perfect way to reward employees and entertain clients. Rent a suite for a 2018 Quakes game at LoanMart Field and enjoy in-suite wait service, special suite menus, and a private seating area. Our birthdays are for the young and the young at heart. We have birthday packages available for all ages. 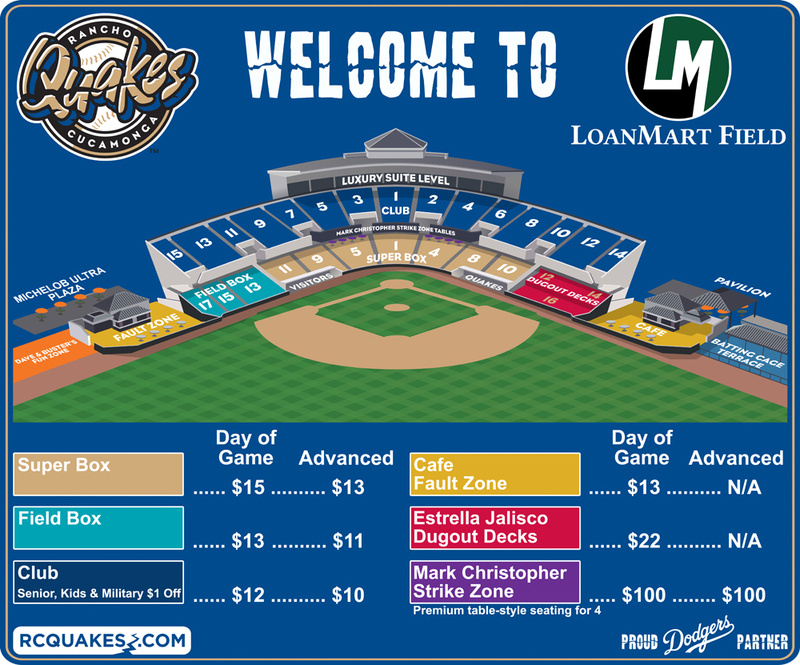 Spend your special day at LoanMart Field with Tremor and the Quakes! Individual game tickets are now on sale for the 2018 season! Hope to see you at LoanMart Field very soon.